Public transit is a great way to reduce traffic and gridlock in a crowded city. 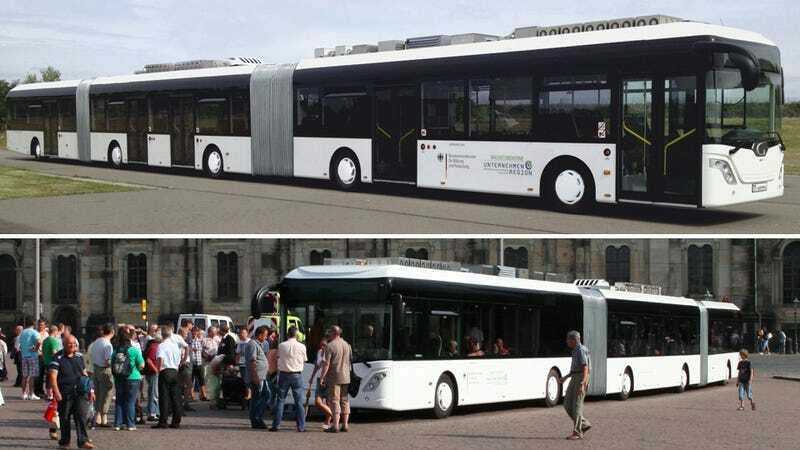 But do those benefits still apply when the streets are filled with 100 foot buses like the Fraunhofer Institute's AutoTram Extra Grand? Forget tight corners; this thing might not even make it through a green light.